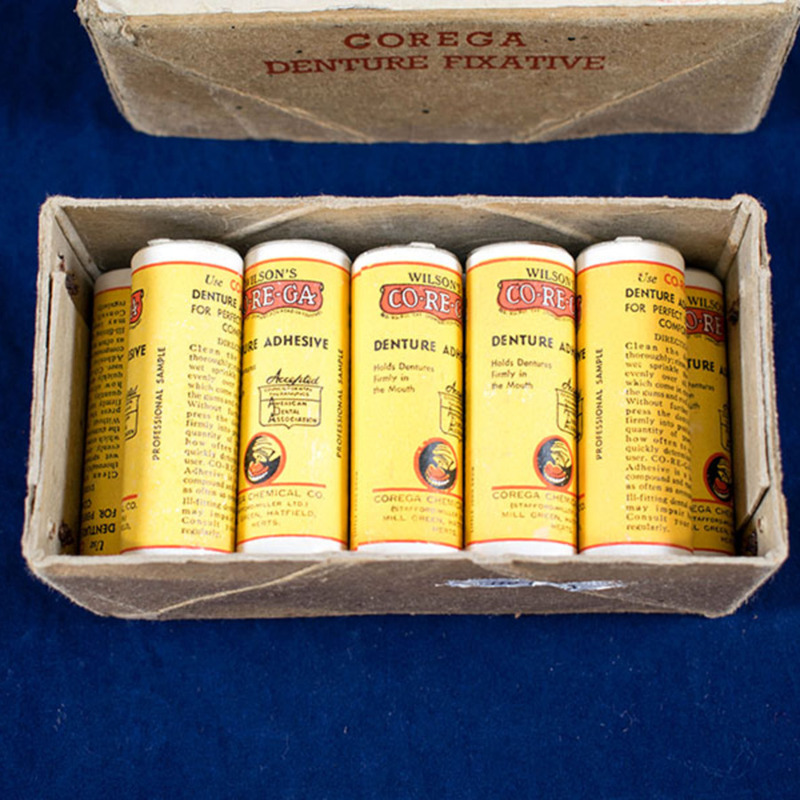 Box containing 12 samples of Corega denture powder, used to hold dentures firmly in the mouth. 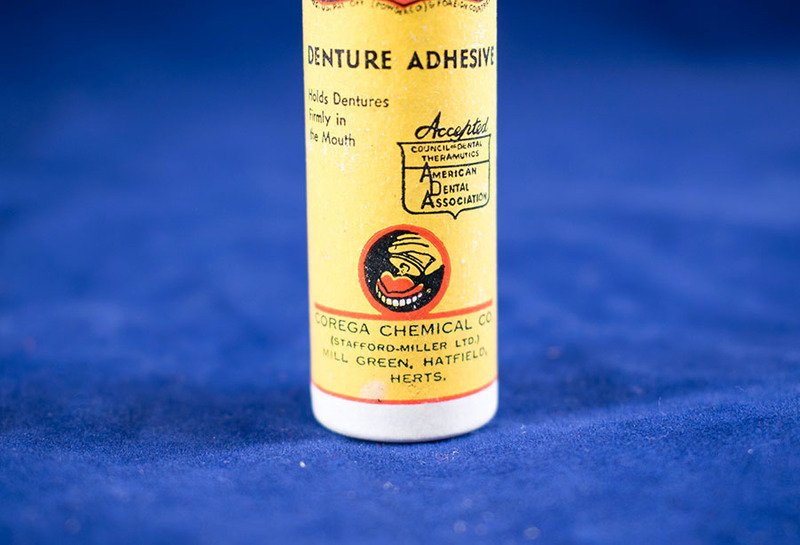 Instruction leaflet entitled 'How to wear artificial dentures' included. 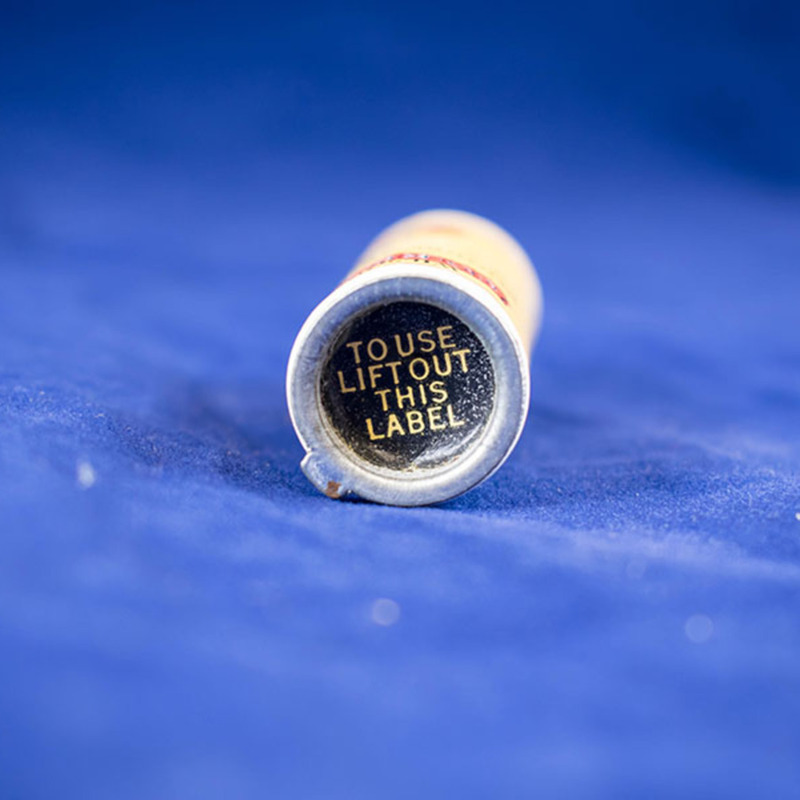 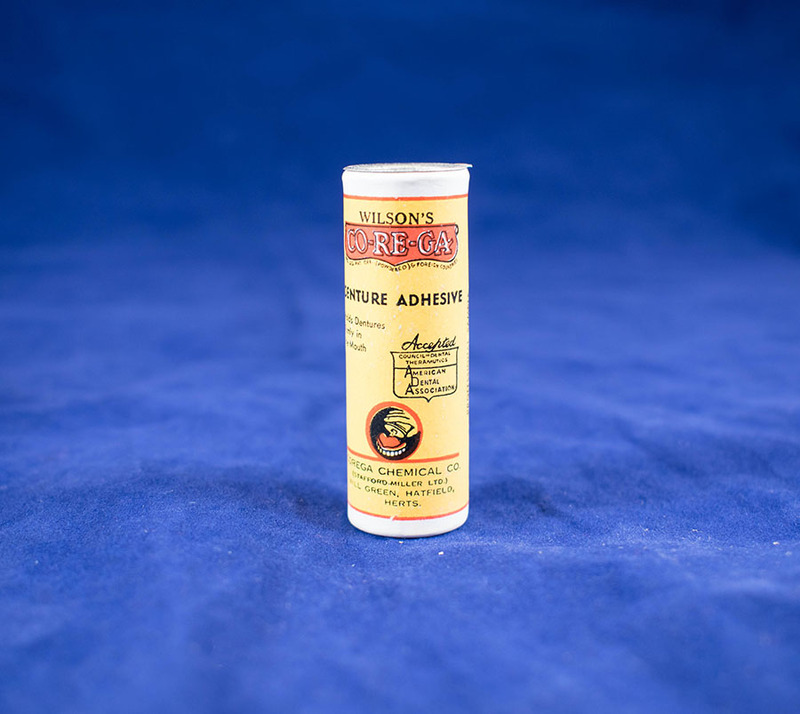 “Denture Powder,” Heritage, accessed April 20, 2019, https://heritage.rcpsg.ac.uk/items/show/699. 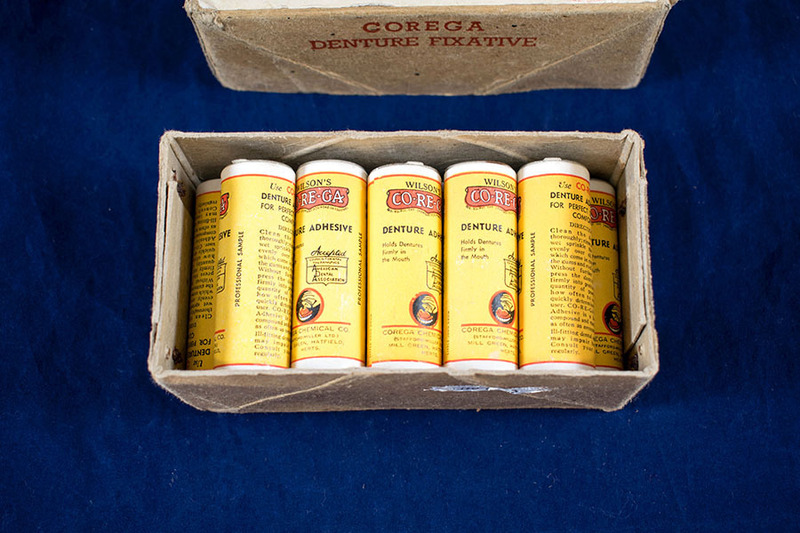 Description: Box containing 12 samples of Corega denture powder, used to hold dentures firmly in the mouth. 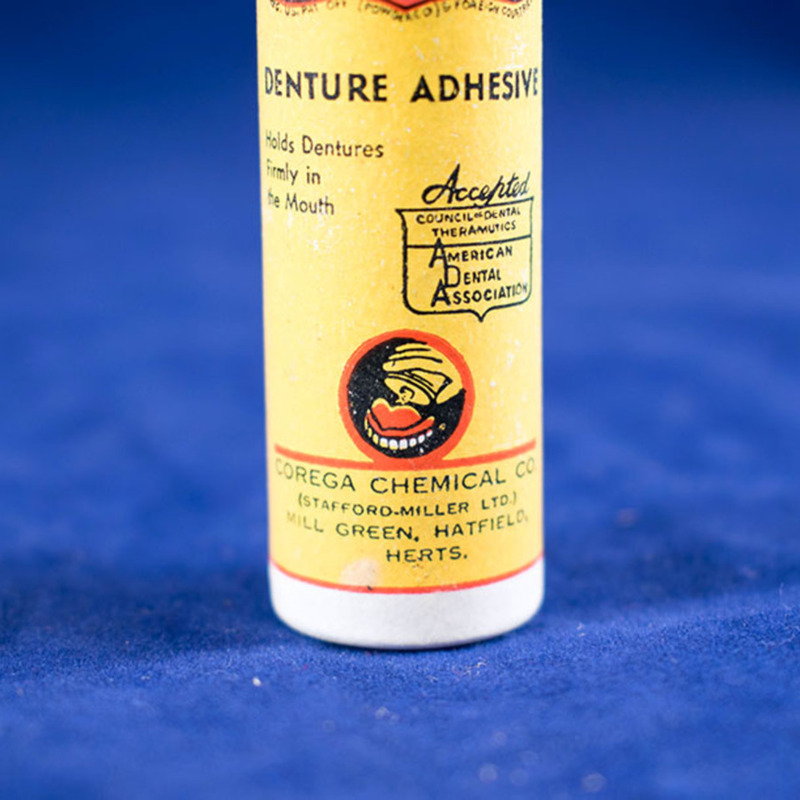 Instruction leaflet entitled 'How to wear artificial dentures' included.